Employing various types of illustrations, typography and photography in an expression of visual communication and through it solving problems is what could be defined as graphic design. It may not be that simple, because today with the digital age and sophisticated communication devices the subject of graphic design has been taken into a new dimension. The initial concepts of graphic design could be traced back many centuries even to origins of the human race. The images our prehistoric ancestors drew on cave walls were also a basic form of graphic design. They were trying to express their views on what they saw or imagined in graphically. Graphic is expressing ideas in either art form, or in any visual medium. If you are able to convey a message in the form of a visual which could be either in numbers, figures and drawing that would be what we could call graphic design. The idea which needs to be conveyed by the initiator should be conveyed to the beholder and what that is done in the most explicit way that would be what we could refer to as graphic design. Any online website would not be complete if it did not contain or was assisted by graphic design. This is because one well designed graphical expression would be equivalent to a thousand words or more. More could be conveyed through a graphical form rather than if one was to write or to get it across through words. That is the inherent power of graphics and the reason that it is used prolifically when websites are deigned. A website would consist of many forms of graphical designs which would help the product to be projected better and more precisely to all those who would view it online. It is only when graphics are employed effectively that any website would be able to incite interest in the visitor who would come onboard the site. To hold the visitor enthralled there should be specially created and authentic graphics. It is superlative graphics presented exemplarily which would win the day for any website. Failing to create innovative graphics would stump the website and traffic would reduce sharply. 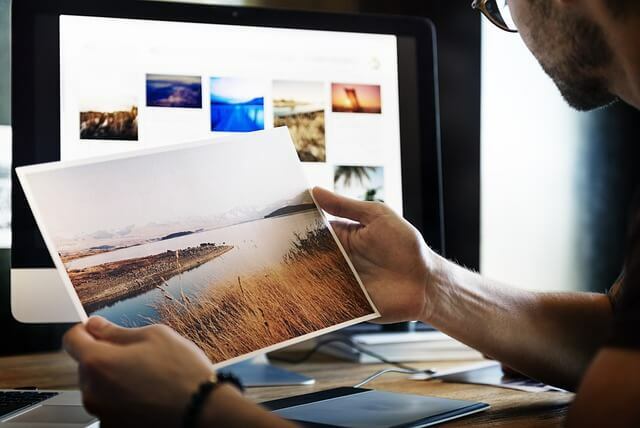 The digital marketing platform is inundated with graphical images and the best would be accepted by prospective customers who would first come aboard. The digital age has created immense interest on how products are sold today, Traditional marketing methods are becoming obsolete and a new era has been born. The level of competitiveness has also been blown through the roof. The digital platform has opened a whole new world for marketing professionals and with effective and innovative graphic designing they are able to affect positive results consistently. The demand for innovation on any online website is reaching for the skies. Innovation in every sphere is improving to unprecedented heights with messages being conveyed more effectively. The key component in any online website is its presentation which would need to be superlative and flawless. If one visual is able to convey an idea more effectively than any other thing on that website it would be graphic designing at its optimum best. Graphic designing is a professional exercise which would be best initiated by qualified and professionals. Any sort of visual could be considered as a graphical expression but it would still need to be effective on the digital platform. It may not be a fruitful exercise to design an online website if it does not meet the basic objectives. Any graphic design should be well presented if it is to be considered as an effective weapon on the digital marketing platform. It is imperative that the message concerning the whole exercise is effective and does not break down. For a website to stand out as an effective tool in the hands of the digital marketers, it would need to incorporate all aspects pertaining to that product. It is only then that the website would be independent and with ample clout it could score on many fronts. The graphic designers of any online website would ensure that every graphic that they would use would be effective and with others two joining would be the best that you could find. It is also important to remember that the initiated graphic design of an online website should be simple and easily understandable. This means that, whatever a visitor would see in the first few seconds when the website unfolds before him would have a lasting impression and would be the impetus when it comes to engaging with the website and its products. It is to achieve this instantaneous impression that web designers use the best graphic design concepts in their work. It is only when the visuals are superlative that visitors would linger longer than they would in any other online website. The digital marketing platform is very competitive today and with customers able to see visuals instantaneously right at the center of their palms the graphic designing endeavor should be at its best. Visitors to be converted to customers the process could be long drawn but if it could happen as soon as it could then success could be what would take the website forward. Online websites are constrained by what they would bring along with the product that they would contemplate of selling. The past has been quite eventful with our prehistoric ancestors creating the first graphics which still stand to this day. Online graphics may be the answer to many issues pertaining to how a website would behave when pushed to the deep end. A well compiled and innovated graphic design that would accompany and be an integral part of an online website would be the best way to ensure the optimum customers are converted into prospects. The world is seeing an unprecedented interest in the digital world and today one of the important on any platform is effective graphic designing. In the commercialized world we live, there is a high demand for designers. If you want to take your business to the next level, it is extremely important to pay special attention towards designing. That’s because people who live out there in the world tend to get attracted towards the aesthetic appeal of the things. 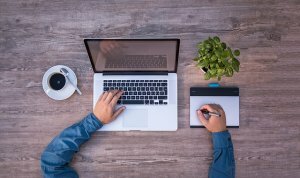 Therefore, it is extremely important for you to seek the assistance of talented and reputed designers. 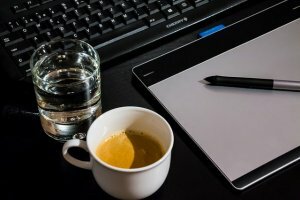 Logo designing and branding – If you want your business to survive in this competitive industry, it is important to move ahead with a unique identity. The professional graphic designers will assist you with that by helping you to create a unique logo that can reflect the products or services that you offer. Graphic designing – It is possible for you to contact The professional graphic designers for all your graphic designing needs such as designing brochures and leaflets. They would design the graphics while protecting your brand identity. SEO and SMO – When you get your business created, it is important to take necessary measures in order to enhance its visibility. Otherwise, your potential customers would not be able to find your business through the internet. That’s where SEO and SMO comes into play. The professional graphic designers can help your website to get ranked in the top positions of Search Engine Results Pages as well. In addition to designing, the professional graphic designers offers a variety of printing related services as well. You can contact them to print business cards, leaflets, flyers, rollers banners and even greeting cards. Best quality materials are being used for printing purposes and you don’t need to worry about anything. The professional graphic designers has plenty of experience in working for the printing industry as well. As a result, they are in a position to understand your specific printing needs and provide you with the best possible service accordingly. The professional graphic designers has maintained an excellent reputation throughout the past by offering a quick and efficient service to all the customers. It is never too easy for you to survive in the touch industry competition that comes from the market. Therefore, you will need to take appropriate measures to make sure that you remain solid on the industry. To ensure that, you are encouraged to go ahead and look for the best graphic designing services available out there. They can help you to reach the market with a unique brand identity. Then you will be able to take your business to the next level and achieve great heights. Due to all these benefits, the amount of money that you will be spending to get the help of a graphic designing firm can be considered as a great investment that you can do towards your future.